You'll find plenty of places to visit near Perth: Rockingham (Rockingham Beach, Palm Beach, & more), Bells Rapids Park (in Brigadoon) and Fremantle (Fremantle Prison, Fremantle Markets, & more). Pack the 14th (Mon) with family-friendly diversions at Adventure World Perth Australia. On the 18th (Fri), give your taste buds a day to remember with a local gastronomic tour. There's still lots to do: take in nature's colorful creations at Kings Park & Botanic Garden, kick back and relax at Cottesloe Beach, indulge your taste buds at Food & Drink, and tour the pleasant surroundings at Scarborough Beach. For more things to do, maps, and tourist information, read Perth visit planning site . If you are flying in from United Kingdom, the closest major airport is Perth International Airport. 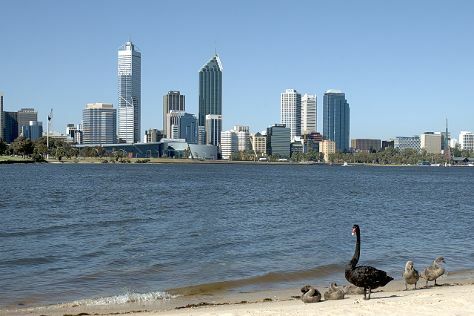 In October in Perth, expect temperatures between 28°C during the day and 12°C at night. Cap off your sightseeing on the 24th (Thu) early enough to travel back home.